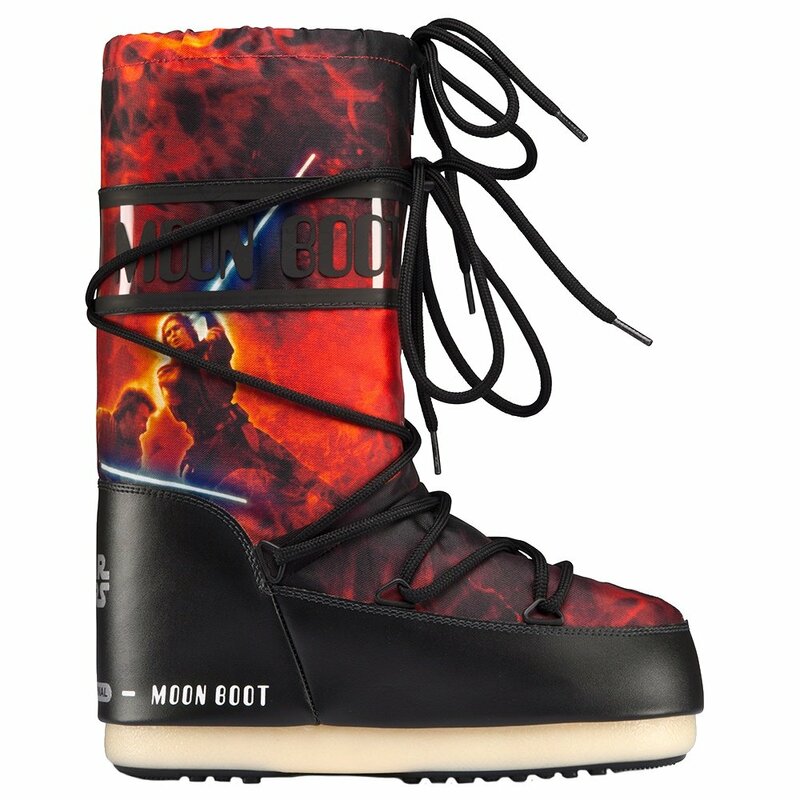 They'll have a good feeling about the Moon Boot by Tecnica Star Wars Fire Junior Snow Boots, probably due to the awesome Star Wars graphics that pair perfectly with the unique Moon Boot styling. But Moon Boots are more than just a great look, the nylon and synthetic construction makes them softer and more flexible than regular boots, allowing for better comfort while wearing them. Plus the all-over lacing, which tightens the WHOLE boot, allows them to fit a broad range of foot sizes, making these boots a great pick for passing on to the next generation.